Hair Salon Apron Zebra Blue Topaz will be a pretty addition to your salon wear wardrobe. 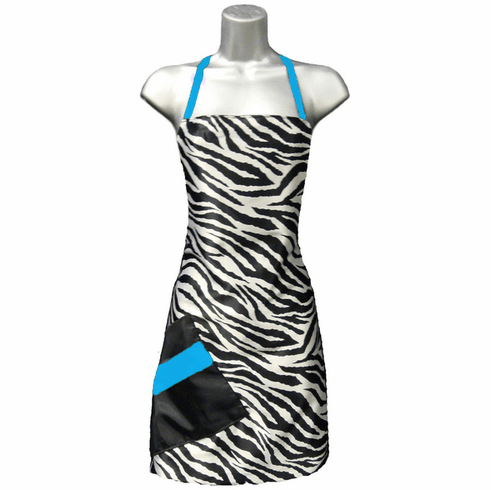 Any hair stylist will sparkle like a jewel in this silicone treated, stain resistant superb Hair Salon Apron Zebra Print Blue Topaz ! Cute gift idea to pair with zebra salon cape and monogram!